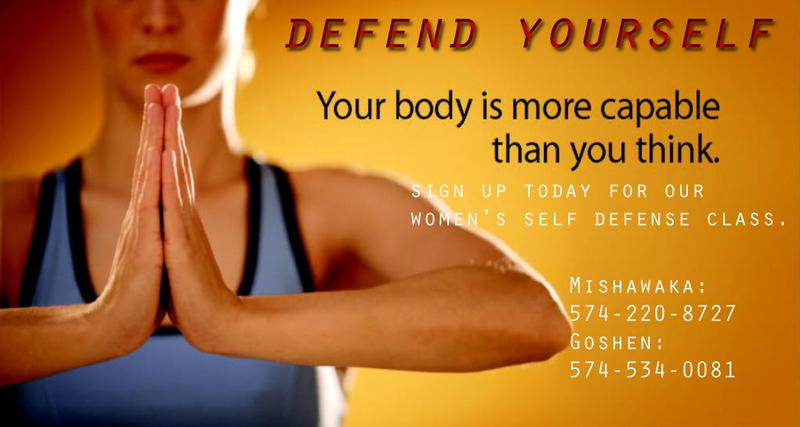 On March 26th, we will be having another Women’s Self Defense Clinic at 3927 N. Home Street, Mishawaka. Please let your friends know. Any referral from a member receives HALF OFF of the cost for the workshop. The session will begin at 8:30 and end at 9:30. The cost is $20.00. Please preregister below and then pay online.